Just to give you something to look forward to when you’ve finished your exams and papers, the library will have four especially interesting-sounding books available for your reading enjoyment by April 30. First on the list is The Emergency Sasquatch Ordinance and other real laws that human beings have actually dreamed up, enacted, and sometimes even enforced, which is a collection of over 200 real but “wacky” laws, complete with citations. This book is Osgoode’s first book with sasquatch content, but fear not, other libraries in the York University Library system will be able to meet your sasquatch research needs, with nearly twenty titles from which to choose. The next book is again a first at Osgoode: The Little Book of Elvis Law. The book talks of the license agreements respecting the use of his name and likeness in connection with the marketing and sale of consumer goods, the many paternity suits and recording contracts, cases involving Priscilla Presley, a bar called The Velvet Elvis, a death certificate investigation, a 16-hour-long documentary, a magazine photo spread, and an agreement with television host Geraldo Rivera. If that does not sate your curiosity, again YUL will come to your rescue with another 50 titles on The King, including (electronic) FBI records! 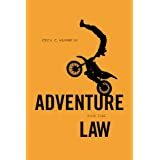 Thirdly, for the sports-minded, we are getting Adventure and the Law, about the law relating to extreme sports. We already do have a handful of books in the library’s sports law collection, but Scott and Steacie win in the extreme sports division. 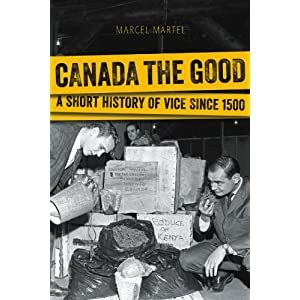 This historical synthesis demonstrates how moral regulation has changed over time, how it has shaped Canadians’ lives, why some debates have almost disappeared and others persist, and why some individuals and groups have felt empowered to tackle collective social issues. Against the background of the evolution of the state, the enlargement of the body politic, and mounting forays into court activism, the author illustrates the complexity over time of various forms of social regulation and the control of vice. This entry was posted in Book News, Legal History, Legal Humour by Sandra Geddes. Bookmark the permalink.